It was an honor that East Lansing Rotary Co-Sponsor Pearl Harbor Remembrance event. 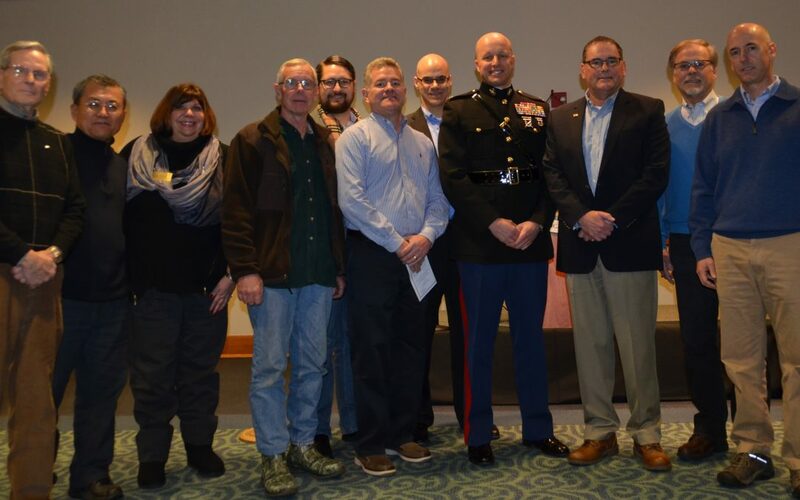 East Lansing Rotary members with Colonel Michael Samarov, United States Marine Corps — the featured speaker at 75th Anniversary Remembrance of Pearl Harbor held on December 11, 2016 at the Hannah Community Center. 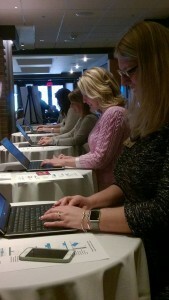 This commemorative event was co-sponsored by the City of East Lansing and the Rotary Club of East Lansing. In attendance, but not pictured was Isabel Leader. 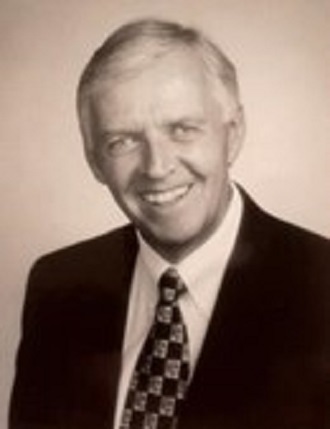 The East Lansing Rotary Club is saddened at the loss of long time member Doug Langham. Following are details about the memorial for Doug. Doug passed away peacefully on June 9, 2016 at the age of 75. He was born in Mason, Michigan on September 15, 1940, the son of Ora Glenn (Doc) and Nellie Langham. This kind, smart, gentle, generous man will be remembered as a much loved son, brother, uncle, friend and beloved husband to Joan Bauer. After graduating from Mason High School and working for several years in Detroit, Doug moved to San Francisco in the late 1960s where he earned his bachelor’s degree from California State University Hayward. He returned to the Lansing area and earned a master’s degree in Rehabilitation Counseling from Michigan State University. For the majority of his 30-year career with state government he was administrator of the Vocational Rehabilitation Division in the Michigan Department of Labor where he was well-known and deeply respected for his unwavering commitment to injured workers. He served as president of the Michigan Rehabilitation Association, which honored him with its Award of Excellence. He also received the National Rehabilitation Association’s prestigious Mary Switzer Scholar Award. 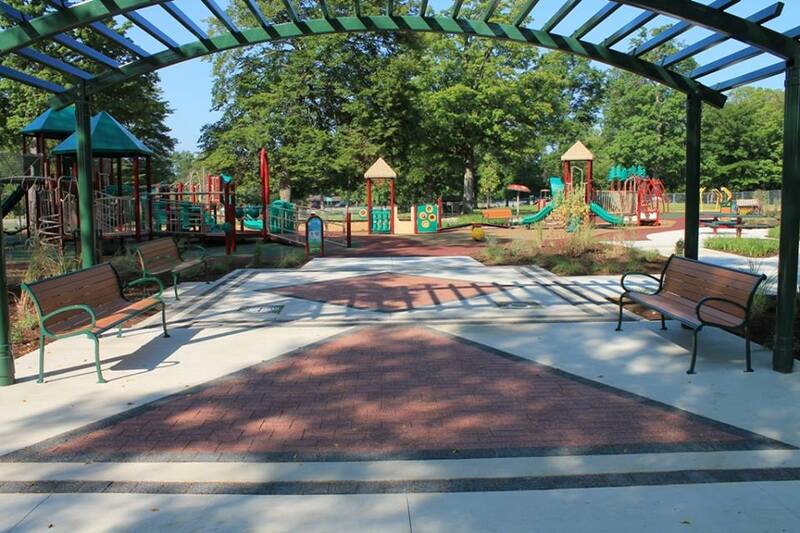 Doug was a dedicated member of the East Lansing Rotary, where as president he was instrumental in the decision to build the Playground at Patriarch Park. As part of a Rotary Humanitarian Aid Mission, he helped organize and deliver medical supplies from Lansing to Nicaragua. Doug was an active member of the Lansing Regional Sister City Commission, twice visiting Saint Petersburg, Russia. In addition to his wife Joan Bauer, the love of his life, he is survived by his brother Richard Dimond, sister Dorothy Taylor, nephew James Taylor, parents-in-law Jean and Ted Bauer, brother-in-law Joe Bauer (Liz), sister-in-law Nancie Bauer, and numerous nieces, nephews, cousins and friends who adored him. He was predeceased by his brother, Donald. The family will receive visitors Wednesday, June 22, 2016 from 5-8 pm at the Gorsline Runciman Funeral Homes, 900 E. Michigan Ave. in Lansing. A “Celebration of Doug’s Life” for friends and family will be held Thursday, June 23 at 3:00 pm at the Country Club of Lansing. In lieu of flowers, contributions may be made to the East Lansing Rotary Foundation, the Michigan Maritime Museum for the Friends Good Will, and the Stoneleigh Residence/Hospice of Lansing. Most of all, you are encouraged to be kind to others in memory of this kind and gentle man. Condolences and memories may be shared with the family at www.grlansing.com. 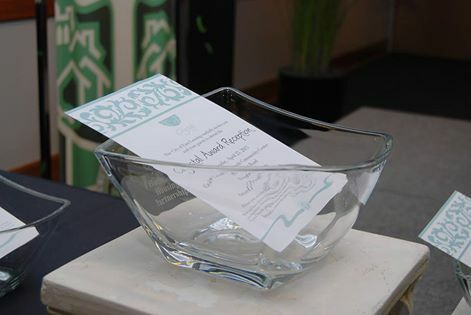 The Crystal Awards, hosted annually by the East Lansing City Council, honor individuals, businesses, professionals, non-profits and community groups that have made an outstanding contribution to community life in East Lansing. Crystal Award recipients are dedicated to enhancing the East Lansing community. They demonstrate a passion for and commitment to creating a healthy and vibrant community and serve as an inspiration to others. Recipients are dedicated to enhancing the East Lansing community. They demonstrate a passion and commitment to creating a healthy and vibrant community and serve as an inspiration to others. The Rotary Club of East Lansing was the non-profit recipient in 2015. This year, Rotarian Jim Little is the individual recipient. Crystal Awards recipients are honored at a special community reception this Thursday, April 21, 2016 at 5 p.m. at the East Lansing Hannah Community Center, 819 Abbot Road. The Awards Ceremony will occur at 6:00 p.m. In addition to the program, the reception will feature hors d’oeuvres and live music. All community members are invited to attend. We especially encourage you to attend to congratulate Jim and to demonstrate strong support from our Rotary Club. Many, many “THANKS” to each and every one of you for your support of the Weekend Survival Kits (WSK) program through your participation in the first-ever WSK Friend Raiser held on March 21 and/or by voting for the WSK program during the month-long Big Bang-quet Community Charity Challenge which concluded with a “Grand Reveal” reception held at the University Club of MSU on March 23rd. Your support of these efforts helped us raise a total of $10,546 for the Weekend Survival Kits program! 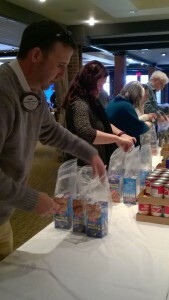 That’s enough money to purchase food to fill over 2,100 food kits — each containing food for 11 meals and 2 snacks — to help feed hungry children in communities across Ingham County. * We had a great turnout at the Friend Raiser — 100 lunches delicious and savory lunches were served by the University Club of MSU; our final reservations count was for 110 lunches. * At the Friend Raiser, $981 was contributed at the door – 100% of which goes to the Weekend Survival Kits program. 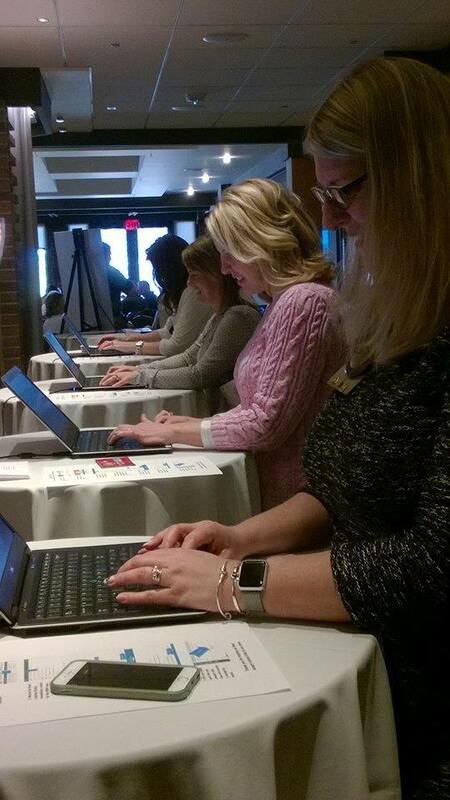 * The three service clubs serving as co-hosts for the Friend Raiser – Rotary Club of East Lansing, Rotary Club of Haslett-Okemos and the Kiwanis Club of East Lansing — donated some $3,000 for the WSK program. Each of the clubs contributed $500 as a Friend Raiser co-host and also donated the amount that would have been spent for the meal at their regular weekly club luncheon. * Three sponsors (Jackson, Williamston Citgo and Williamston Cross Fit) donated a total of $3,500 for the Friend Raiser. * 681 votes were cast for the Weekend Survival Kits program during the Big Bang-quet Community Charity Challenge which concluded on March 23rd. Those 681 votes @ $5 each equal $3,405. Ninety percent of this amount or $3,065 will go to the Weekend Survival Kits program with the remaining 10% used to cover administrative fees and projects supported by the Capital Region Community Foundation. Special thanks to our co-hosts who made our first ever WSK Friend Raiser possible – the University Club of MSU, Many Hands Foundation, Kiwanis Club of East Lansing, Rotary Club of Haslett-Okemos and Rotary Club of East Lansing. Once again – many thanks to everyone for your help in combating childhood hunger in our communities through your support of the Weekend Survival Kits program! August 4th, 2014 was a great day for the City of East Lansing and the East Lansing Rotary Club, a great day to celebrate a new park. Over 4 ½ years of work culminated in a community celebration of the completion of the Playground In the Park Re-Imagined. Not even an epic thunderstorm could dampen the day – shorten the ceremony, yes, but dampen the spirits of those attending – not a chance! It was a sweet celebration in many ways. To see East Lansing Rotarian and now East Lansing Mayor Nathan Triplett deftly manage the rapidly compressed recognition ceremony; to welcome all of the major sponsors and donors for special recognition; to witness Project Chairperson, John Saltzgaber, receive a standing ovation; to enjoy special commemorative cookies and ice cream; and best of all to see the children in absolute joy over the long-awaited brand new play space. It was sweet indeed. Stepping foot for the first time on the special poured in place safety surface brings the benefit of this surface to life as the surface gives way underfoot and springs back. Knowing that this equipment is safe, eco-friendly, long –lasting, and handicap accessible says the community got it right when they asked for all of these qualities during the planning sessions. It is tradition at the East Lansing Rotary to name a luncheon in December as the Holiday Luncheon. Special guests are invited to attend. The normal programs are set aside for some holiday entertainment. 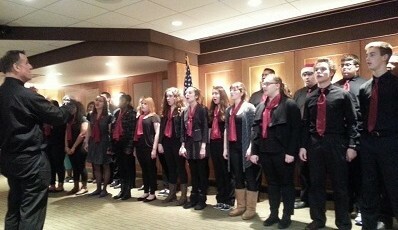 In maintaining our connection with the East Lansing High School, a group of the EL Singers, the East Lansing High School chorale group of singers entertain at Holiday Luncheon. It was great to see and hear so many talented young people. Thanks to the EL Singers for putting us in the holiday mood!